Jack Bell Gallery is pleased to present a solo exhibition of new works by Cullen Washington Jr. The show coincides with two museum exhibitions opening simultaneously at the Contemporary Arts Museum Houston and the Boston University Museum. This will be the artist's first exhibition in the UK. Washington's work is about abstraction, not about abstracting objects, but rather about how he experiences the world and about his dialogue with the work in progress. Thinking of abstraction as the taking away of material things or the theft of reality, the artist works towards the extraction of representation or 'things'. Titled 'No-things' or 'nothing', the new series functions as a place of unlimited interpretation. In both the Untitled series and the No-things series, he tries to capture a snapshot of things before they are formed, still in an embryonic state of meaning. Forming multiple fluid relationships, Washington is interested by the possibilities in this place of 'in-between'ness. The works take on new directions, meanings and interpretations, and allow for a more open conversation to take place between the work and the viewer. Washington was born in 1972 in Alexandria, Louisiana, USA. He currently lives and works in New York. Recent exhibitions include 'Things in Themselves', curated by Lauren Haynes, at the Studio Museum in Harlem, New York. 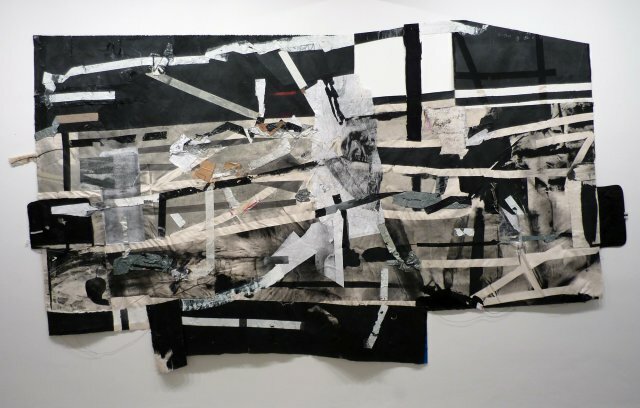 Upcoming exhibitions include 'Black in the Abstract', curated by Valerie Cassel Oliver, at the Contemporary Arts Museum Houston, Jan 25 - March 23 2014, and 'The Land Before Words', curated by Lynne Cooney, at the Boston University Museum, Jan 24 - March 2014. Recent acquisitions have been made by the Studio Museum in Harlem and the Saatchi Gallery, London.